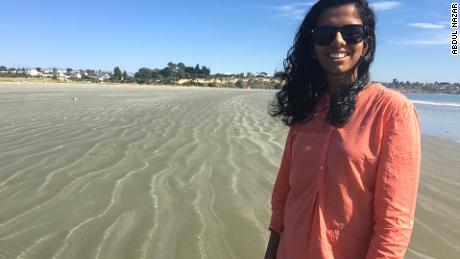 They’d borrowed money to move to New Zealand from India last year, so she could do a master’s degree there in agribusiness management. He’d taken a job stacking shelves at the local supermarket to help pay the bills. 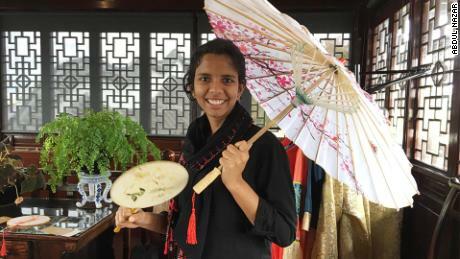 When Alibava graduated, they hoped she’d get a high-paying job and they would live and work in New Zealand, before returning home to the southern Indian state of Kerala to settle down. Friday’s mass shootings at two mosques in central Christchurch changed everything. His friend, Renju George, sits beside him, filling in the gaps when Nazer struggles to speak. Nazer, 34, and Alibava, 25, were both inside Al Noor mosque — men sat on the left, women on the right — when the first shots were fired in one of New Zealand’s worst mass shootings. “Right before the main prayer, I heard a single shot firing and I thought that some kids outside might have popped a balloon,” says Nazer, in his native language Malayalam. Seconds later a series of staccato shots from a high-powered weapon sent 300 or so people in the mosque scrambling for the exit. Nazer says he was close to an emergency door and escaped after someone smashed the glass. Others were not so lucky. “People started falling over me, I saw people with blood on their shirts,” he says. He ran to a neighboring house and phoned the police for help before returning to the mosque to find his wife, who he hadn’t seen since they’d taken their seats. The scene that confronted him was horrifying. Bodies were scattered on the street beside pools of blood. Many people were injured. Then he saw the motionless figure of his wife, lying face down in the street. “I ran towards her and then a police guy stopped me and told me to move somewhere else,” he says. It wasn’t until Saturday night, more than 24 hours after he had fled the mosque, that police confirmed that Alibava was one of the 50 people killed in Friday’s attacks. Nazer’s friend, George, was with him when police handed them, and other families, a list of the people confirmed dead. Until then, he says, like many other relatives, they had clung on to the futile hope that perhaps there had been a mistake. That perhaps Alibava was in hospital. “We thought it might be one of those miracles that could happen,” George says. 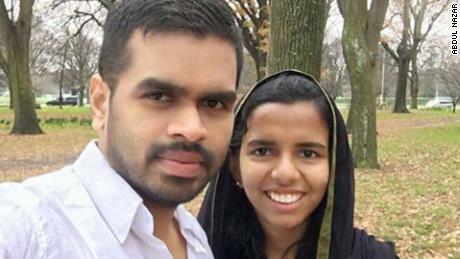 Nazer and Alibava had an arranged married two years ago, but friends say they have no doubt that the couple soon fell deeply in love. “She really loves her husband and her husband really loves her,” says Tali Ao, a friend from Lincoln University, who says he became good friends with “best friend” with Alibava during their studies together. “I can see when they came to New Zealand … I could see them discovering each other. And really liking each other,” he adds. Alibava finished her master’s degree three weeks ago, after doing extra study last summer to finish earlier than her classmates. Ao says Alibava was the brightest student on her course. On Monday, the university’s students and staff bowed their heads on the lawn for one minute’s silence in remembrance of the dead. “For some of our family’s victims to be attacked because of their religion is inconceivable,” said Acting Chancellor Bruce Mckenzie. The Kerala community in Christchurch has tightened around Nazer to help him through the coming days and months. 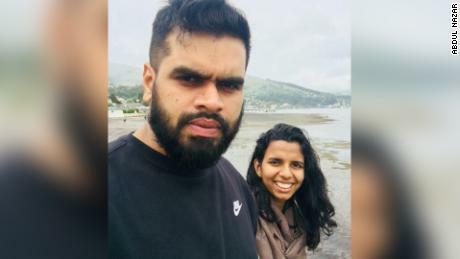 They’ve started a Givealittle page to help him pay back the $70,000 New Zealand dollar- ($48,000) loan they took out in India to pay for Alibava’s studies. Nazer wants to send his wife’s body back to Kerala to be home with her mother and brother. Her father died several years ago. Nazer is unsure what the future holds, but he says he knows he wants to stay in Christchurch, where he and his wife spent most of their married life together.